How many people are do designers think will be in a building? 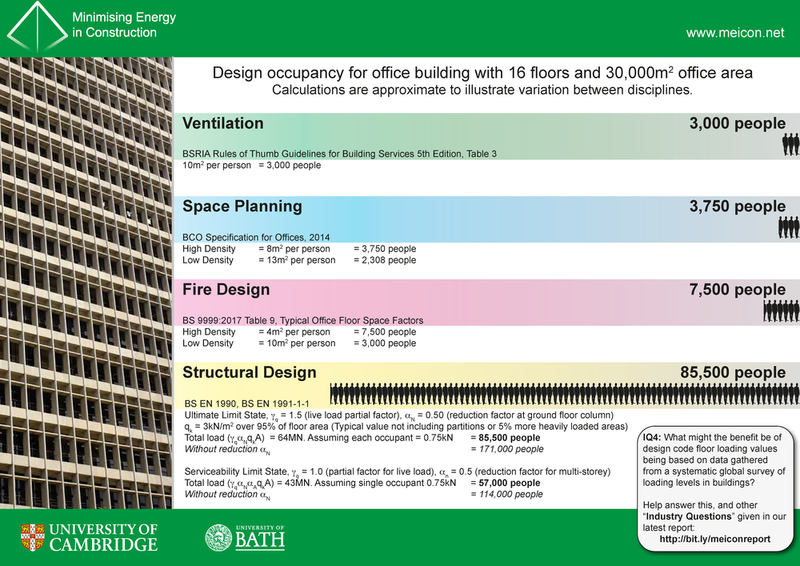 A second version includes data to demonstrate what happens if you remove 75kg per metre squared for office furniture and other equipment. This is an upper bound on what is in real offices (based on surveys such as the Stanhope Report). The above posters show significant some excess capacity in terms of the numbers of people that could be in the building. Next we can consider, what would an office for 64,125 people look like? We have chosen to look at 64,125 people only as an example. Let us know what you think!